As versatile as it is sleek and sumptuous, this super-soft brush can be used for an array of products, including powder, bronzer, blusher and highlighter in powder, cream and liquid formulations (phew!) and, best of all, with Hourglass’ sublime Ambient Lighting Powders. The vegan brush head is crafted from PETA-approved Taklon bristles (a hygienic, less irritating alternative to animal hair), while the weighted metal handle provides effortless control – and a welcome touch of luxe – to any make up collection. Versatile and luxurious, Hourglass’ Ambient Powder Brush can be used for all manner of make up artistry. With a sumptuous (totally vegan and PETA-approved) brush heads, it’s ideal for adorning your complexion with bronzer, blusher, powder or highlighter – or, best of all, Hourglass’ simply sublime Ambient Lighting Powder. Whether you’re using powder, cream or liquid formulations, this sleek, super-soft brush ensures a flawless finish, with a weighted metal handle to provide control and effortless blending and application. Providing a more hygienic and cruelty-free alternative to animal hair, the bristles are crafted from Taklon, a material that’s also less likely to irritate skin than animal hair – we’re sold! Use to sweep powder, blusher, highlighter or bronzer onto the face. 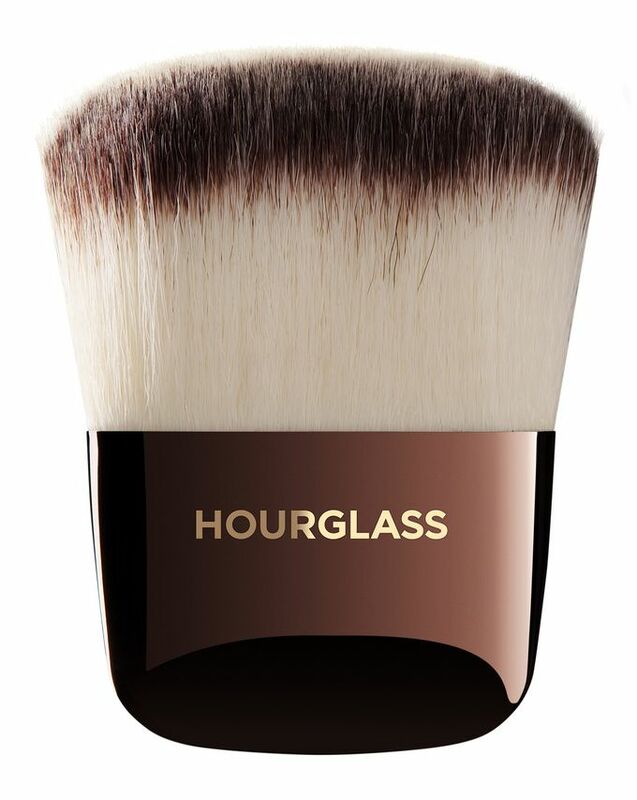 I first bought the Hourglass Ambient Lighting Powder trio without this as it was hard to justify the price for one (plastic handled) brush. However my other brushes were either too big for the palette with no control in picking up just one shade, or just felt like they weren't sweeping the product effectively over my face. Reluctantly I forked out for this. I'm glad I did because it makes the powders effective, is soft and gives a great deal of control. However again, it's plastic - it feels cheap to hold. I think it should come with the product, as per Benefit's Hoola - in fact, if you (or a friend) have an old Hoola product, keep the brush for this as the shape is very similar and would do the same job, albeit less softly.